Learn to fly cast on your local waters will be among the most enjoyable journeys an angler accomplishes! Your best teacher is the waters you fish since you will be met with many challenges to overcome in the early stages. The more challenges you solve enables you new ones at a faster pace down the road. If you keep at it long enough you realize that most of the on-stream challenges end up repeating themselves. You do not need famous destinations to accomplish this task. Instruction will assist you in doing this quicker overall, but it will still be up to you to perfect it through practice on the water. Fly Fishing Team North Carolina met on the chilly banks of the Nantahala River in mid-December 2010. We had a lucky break from cold weather hence a great practice and camaraderie. Had a great discussion on the use of various loop planes, parallel and non-parallel legs of the loop for fishing casts, and the concepts of negative and positive force casts. The group of enthusiastic anglers is constantly seeking new information all the time. This constant desire for new things in tactics, patterns, casting, etc… has been a passion of mine for a long time now. I guess you could say that it is the most important, non-important, past time for me still. 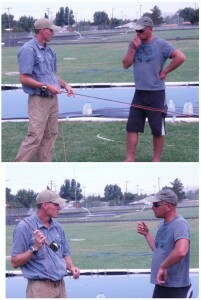 I often refer to dimension jumps for learning new areas for the sport in fly fishing. New things learned often come as solutions to old problems on the stream. Our past experiences with various water types dictate the learning curve. You may get additional clues from other anglers, instructors, DVD, VHS, books, and internet forums which may aid in the explosion of new ideas which share knowledge. Over the years many folks tend to always ask about my favorite waters. I respond that I do not have one because goals change often along with techniques and mood. Learn to fly cast on your local waters is probably the best advice that helped me the most as a fly fisher. Paul Arden and I at our first meeting in Bozeman, MT a few years back now (2005). So very many topics we got into during the casting sessions in the parking lot late at night (3 a.m.). Carl McNeil all the way from Kiwi land was right there staying up late and playing along. Al Buhr, Bruce Richards, Jeff Wagner, Clay Roberts, Sandi Roberts, Gordy Hill, Joe Libeu, Dusty Sprague, Mel Kreiger, and many others in the field during the day sharing with discussion and casting. That conclave for me was one of the best I have been to in Bozeman, MT. I met so many great guys at the IFFF Conclave that summer that I wish it could have lasted longer! Paul runs a website forum called Sexyloops which is where I check out the latest new casting geek topics (which there are many). Instruction for trout fishing and fly casting has been a pretty cool occupation for a long time now! The latest technologies of video calls are great for getting instructors together! You can get a group from many backgrounds of expertise from around the globe and really hash things out at light speed pace. 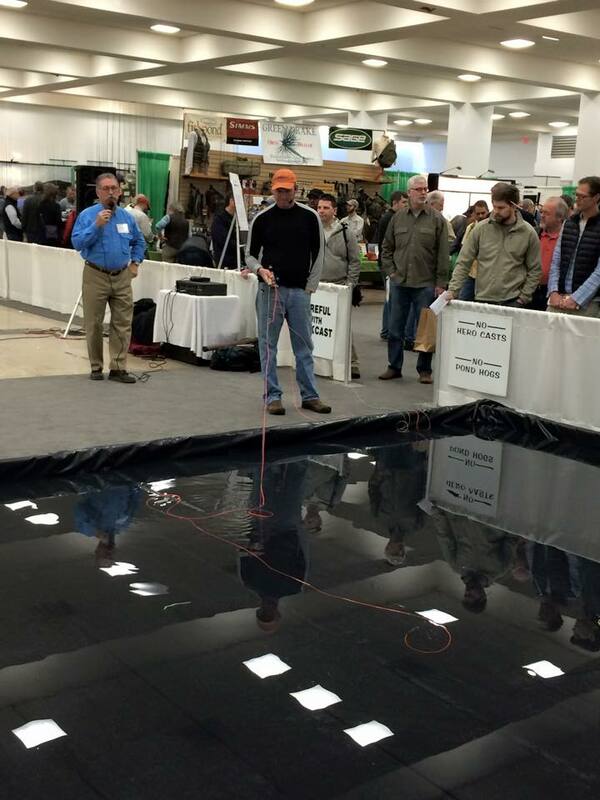 Looking forward to the Fly Fishing Shows and Conclaves the next few months! We are enjoying one of the best winters here we have had in a very long time. The cross-country skiing and snowshoeing have been the best in over 20 years! 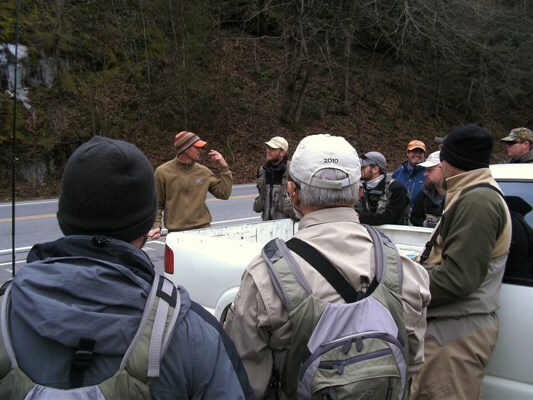 The Nantahala River tailwater has fished well because of the constant water temps. Going to fish the South Holston River in TN for a few days in a couple of weeks which is one of my favorites in the Southeast. Should be some great midge fishing. Happy winter fishing to you!